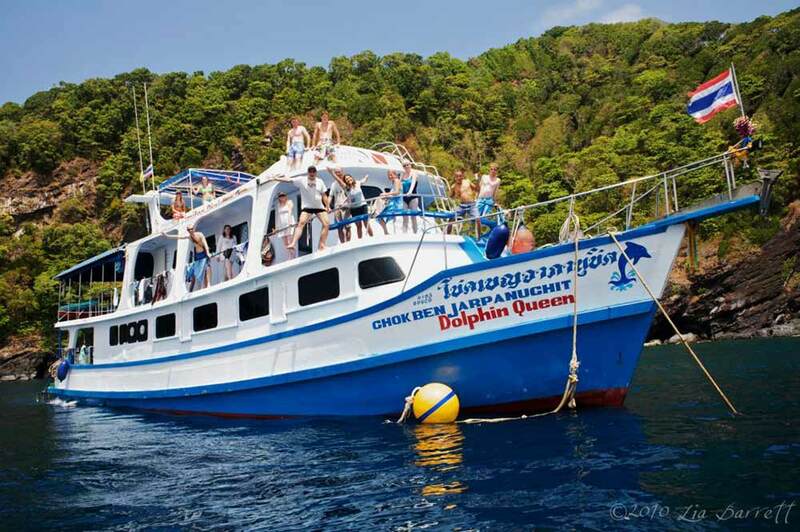 MV Dolphin Queen is a hugely popular Similan liveaboard diving boat which can host up to 22 lucky guests in air-conditioned comfort on four day/night cruises from Khao Lak, in southern Thailand. 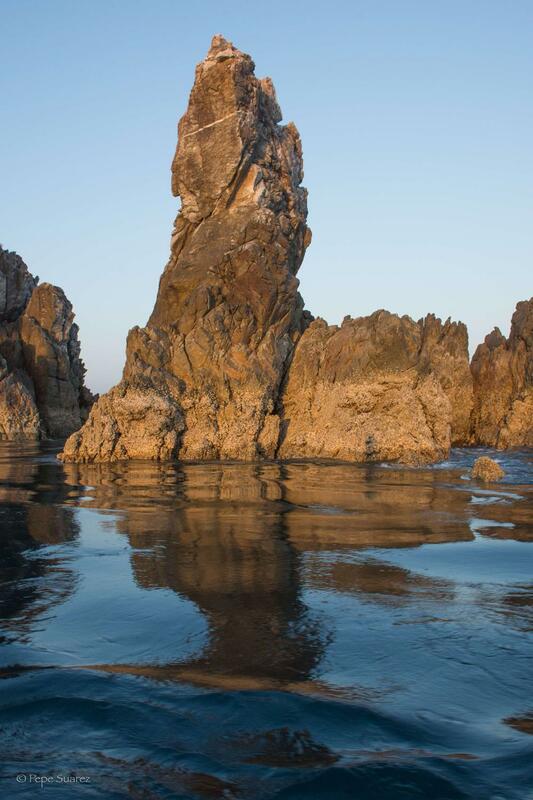 In addition to diving safaris to Thailand’s best diving sites, Dolphin Queen also makes regular trips into Myanmar (Burma) for exciting adventures around islands which are just being discovered for diving. The boat is 24 metres long, and fully equipped with navigation, safety & communication equipment, as well as Nitrox. 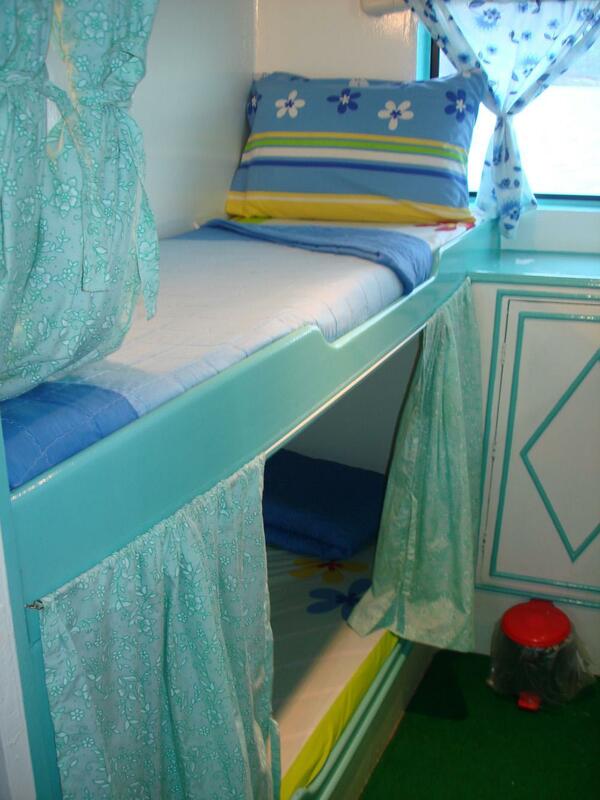 There are several cabin types on Dolphin Queen, all of which have air conditioning and opening windows. 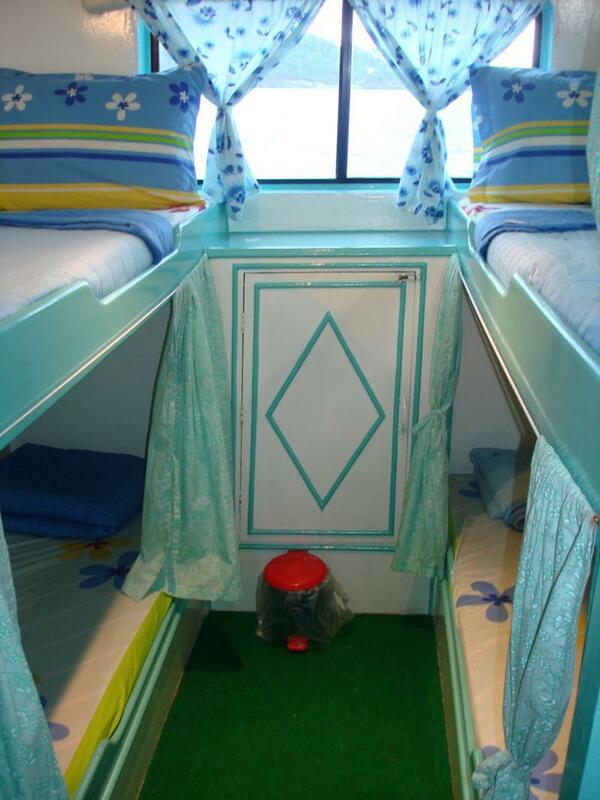 The four-bunk cabins are the best value, but there is also a twin, and double-bed cabins available. Socializing and mealtimes take place at the back of the upper deck, in the covered open-air communal area. Here is where the delicious meals are served (buffet style), and where most people on board spend non-diving time. There are also plenty of places to find some privacy and sunbathe and/or read a book. Unlike some other Similan liveaboard diving boats which may be newer & more attractive, Dolphin Queen's qualities are a little deeper under its skin. The team are very experienced, and they know exactly how to run a safe, fun & enjoyable liveaboard cruise. We follow up every customer that we place on every boat, and Dolphin Queen always gets very good feedback. Little touches like open-heel booty fins as part of the free diving equipment and computers & instructors for more than just diving courses make a lot of difference. In general, from the delicious & abundant food to the service from dive staff and boat boys, liveaboard cruises on Dolphin Queen take some beating. When you look at the price compared to other boats, it's often a very simple choice. Diving groups are made up of no more than four (similar level) guests per Divemaster guide and there is a detailed briefing before each dive. At any time of day free tea, coffee, snacks, fruits etc. are available. 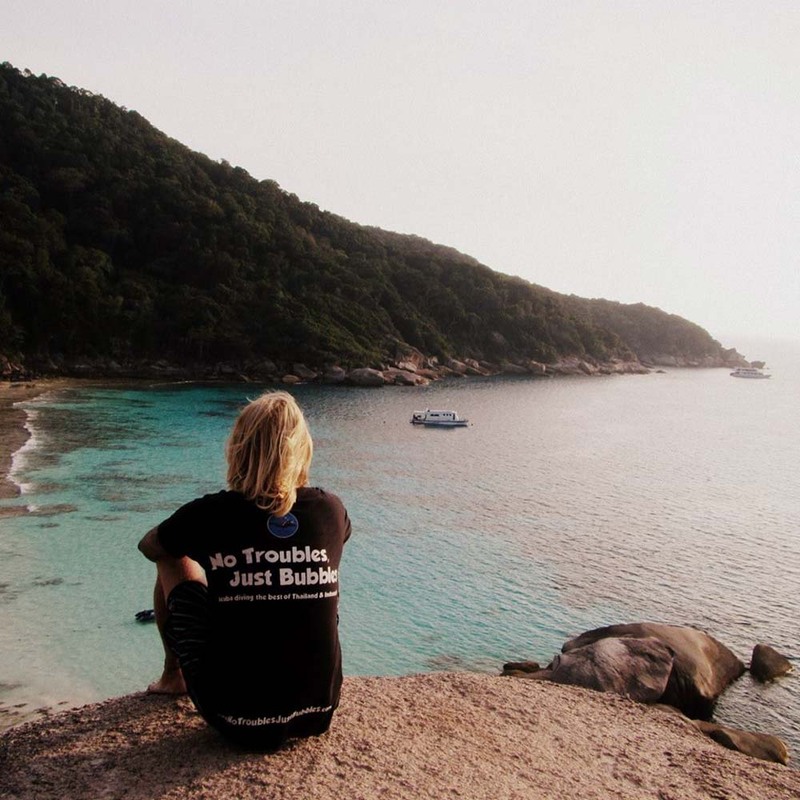 There is a dinghy to return diving guests to the boat and to take beach-lovers onto the wonderful beaches of the Similan Islands. 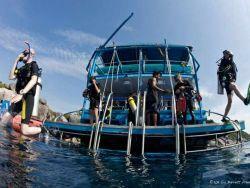 Dolphin Queen trips are a lot of safe fun, and possibly the best-value diving safaris to Thailand’s best dive sites. The whole team on board understand what all levels of diver want & need. The equipment rental costs are among the best value, but in no way lower quality or condition than any other liveaboard diving safari trip. 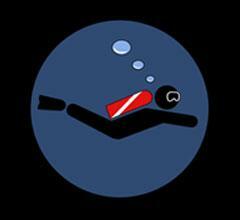 Please note that divers on MV Dolphin Queen need to be certified to depths of 30m (99ft). Those who are not can choose between taking the PADI AOW course on board (which is great value includes a PADI instructor and use of a dive computer for the whole cruise), or doing the Adventure Deep dive at the start of the trip. 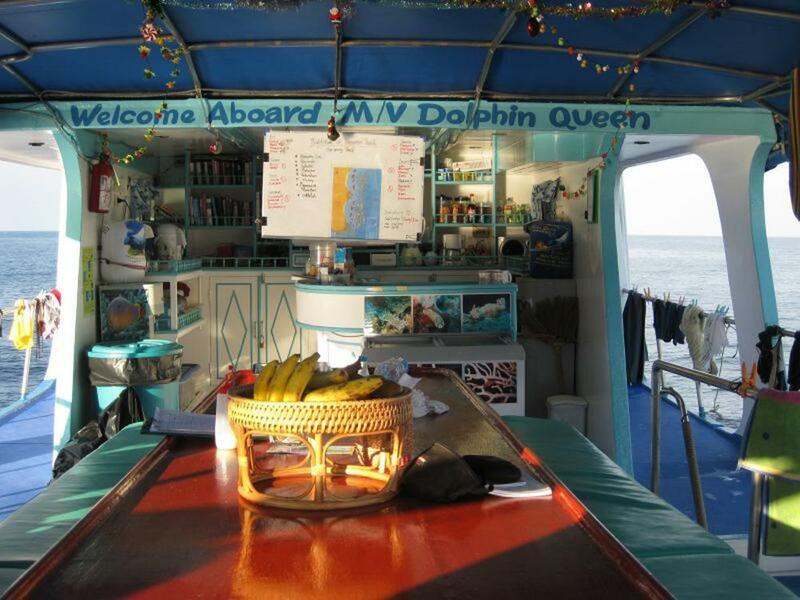 MV Dolphin Queen liveaboard guests should arrive for check in, final payment and equipment check at the PADI 5-star dive centre in the morning, and no later than 1pm on the day of departure, but they are more than welcome to do so on any day beforehand. Dolphin Queen diving safaris in Thailand are for 4D & 4N (14 dives), leaving in the late afternoon on the first day and returning at about 2-4pm on the final day. There is nearly always a videographer aboard, so you may want to see your video played on the tv. 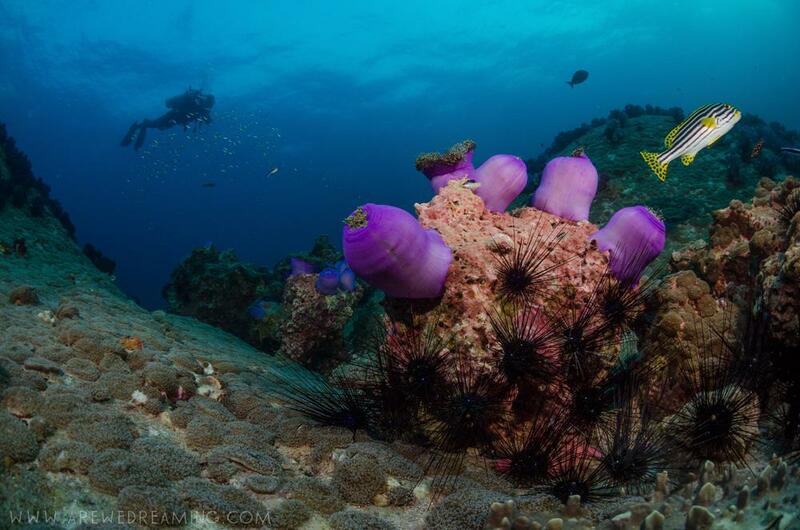 There are normally four dives per day (3 day dives & 1 night dive), except on the final day of the trip, when there are just two morning dives, before sailing back to the pier in Khao Lak. 2. Deck Showers. 16. 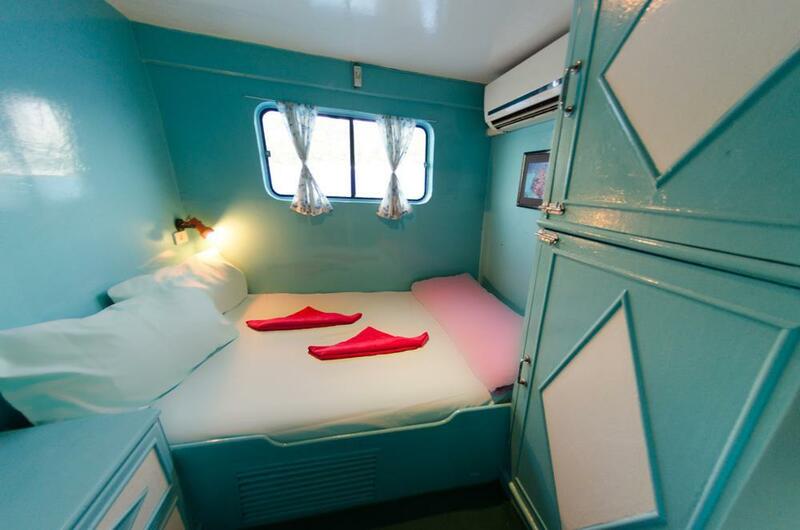 Double-bed Guest Cabin. 9. 4-bunk Guest Cabin. 23. Fire Extinguisher. 12. Bench. 26. 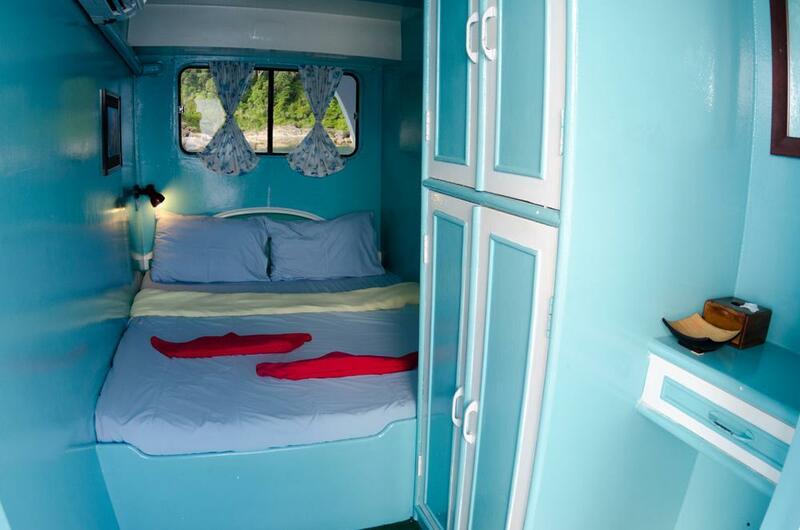 Twin-bunk Guest Cabin. Engines: 2 X 6 Cylinder 315 HP Hino Engines. Compressors: 2 X Electric Bauer Mariner II (240 Lt. Per Min) With Air Cooler And 40 Luxfer Tanks. Navigation: Radar, GPS Satellite Navigation, Depth Sounder, And Compass. Accommodation: 4x Double Cabins With Air Conditioning, 1x Twin Bed Cabin With Air Conditioning, 3x 4 Bunks With Air Conditioning. 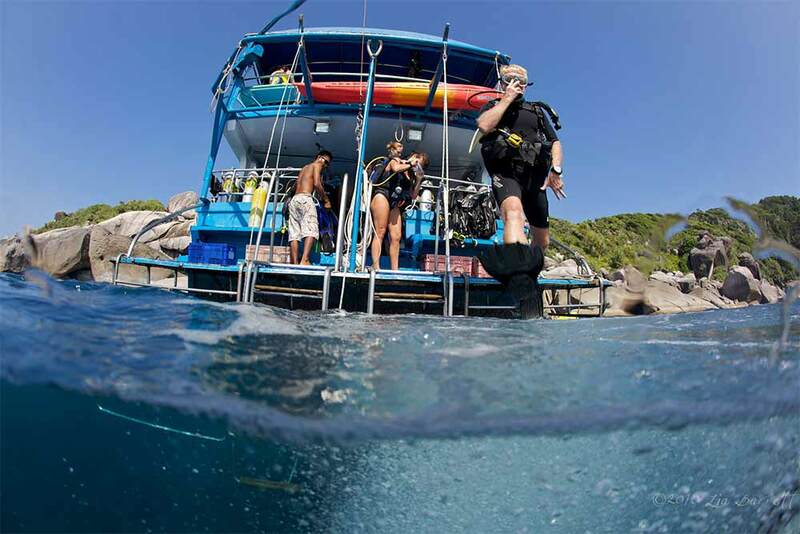 Starting at the basic level of learning to dive, there is the option of completing all of your Open Water Diver course on one of the best value diving liveaboard boats in the Similan Islands. 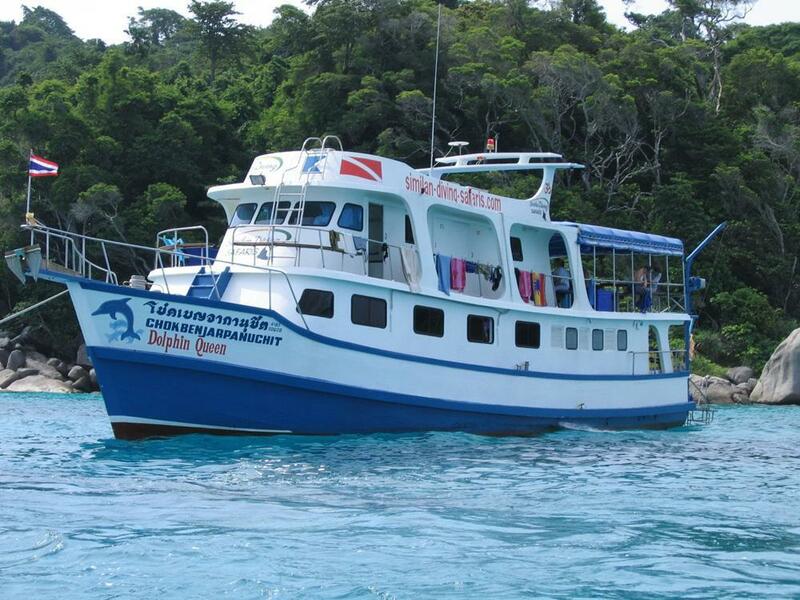 Those wanting to do an Open Water course on MV Dolphin Queen need to be in Khao Lak at least one full day before departure, in order to complete the theory lessons, videos and tests in air-conditioned diving classrooms, then learn and practise the skills in the pool. 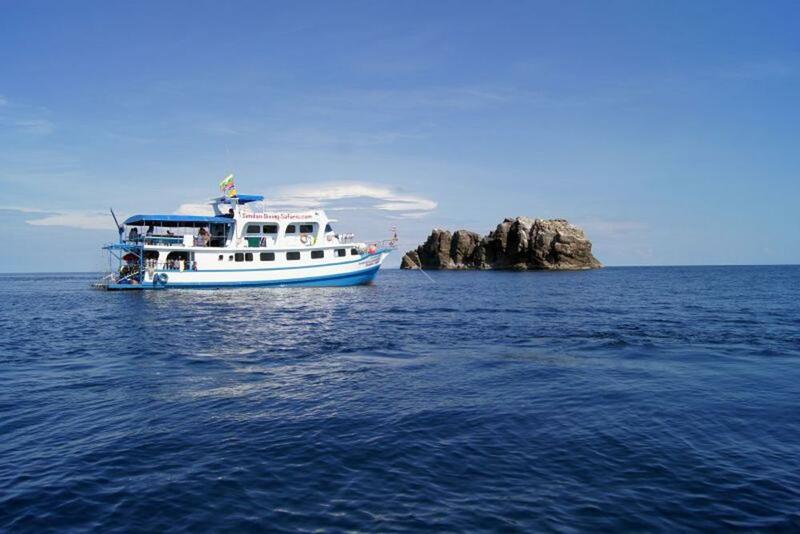 Then, once aboard the boat, you will enjoy the whole cruise and all of your dives with a PADI dive instructor. Other liveaboard trips which offer the Open Water course, hand the students on to a Divemaster for fun dives after the 4 training dives. 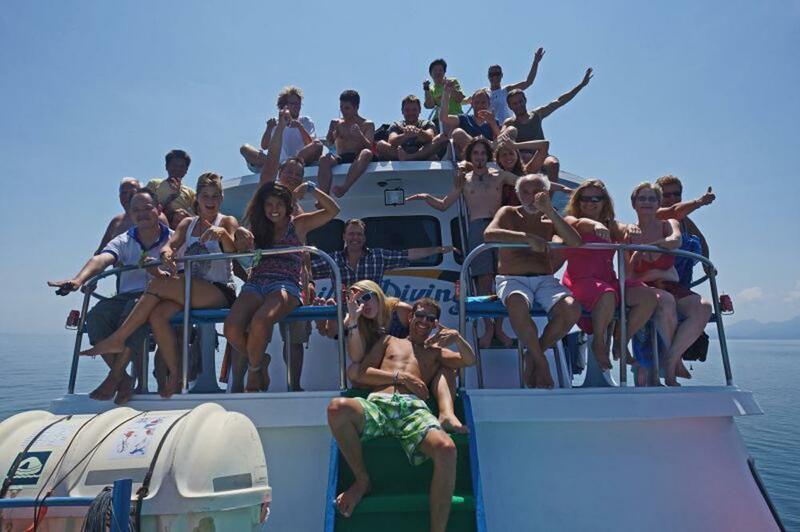 Advanced courses are very popular aboard liveaboard cruises and diving safaris. On Dolphin Queen, you get to complete all fourteen dives with your instructor and also get the use of a dive computer for the duration of the cruise. 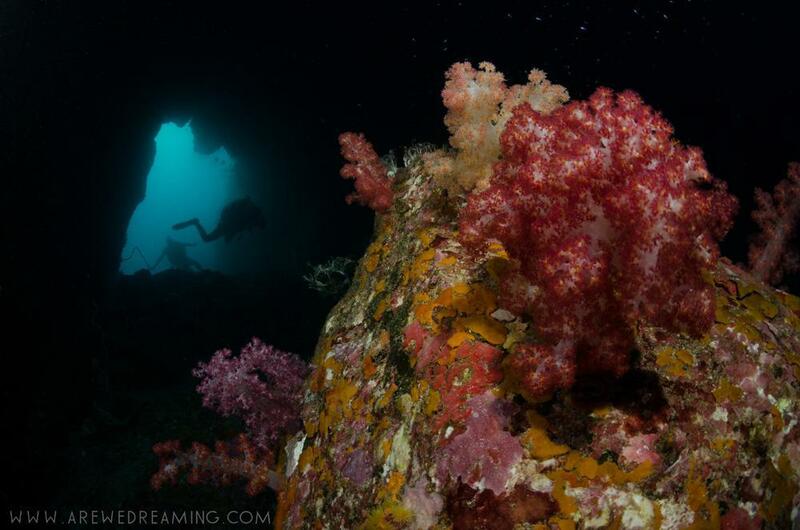 This course is not as focussed on theory as the Open Water course, and allows divers to choose certain specialities and dive to depths of 30 metres. 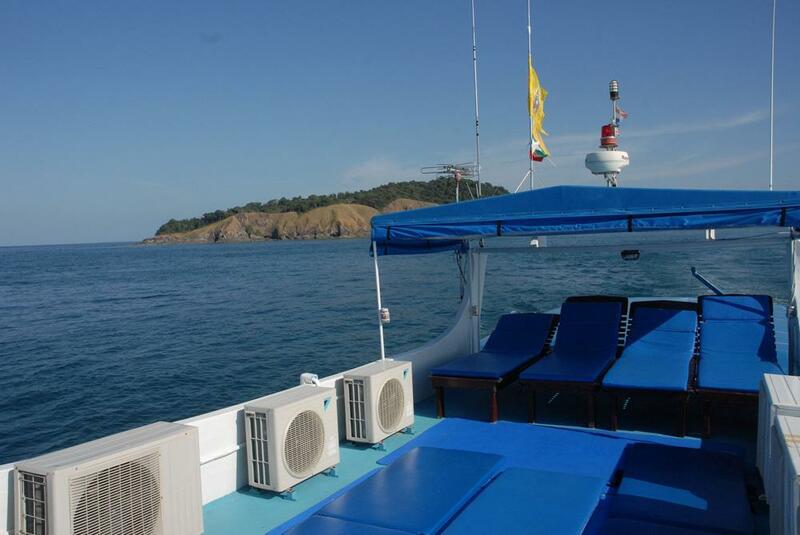 As part of the liveaboard cruise, it is exceptionally good value. 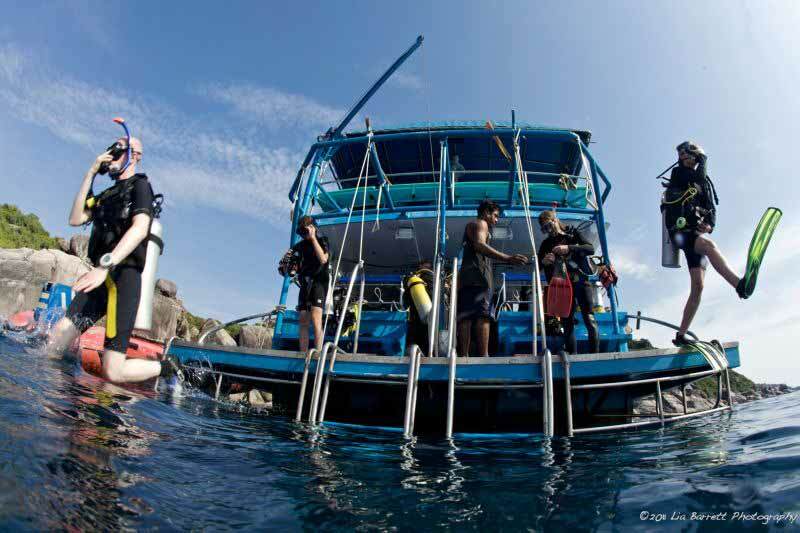 Nitrox diving (Enriched Air) is one of the most popular courses to take on a diving safari, mainly due to the opportunities to stay deeper safer for longer and to reduce tiredness. On Dolphin Queen you get four free tanks of Nitrox to practise what you have learned, and there are several options for further fills during the remainder of the trip. 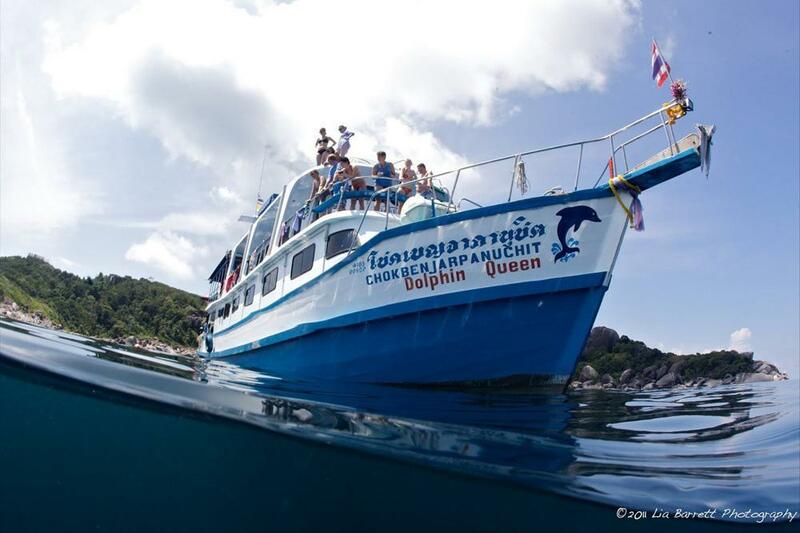 Nearly all Dolphin Queen courses can be booked when you arrive at the dive centre in Khao Lak on departure day. There is usually no need to pre-book, but we are always happy to help. Guests are expected to arrive at the PADI dive centre in good time for check in, paperwork checks, equipment fitting and final payment. 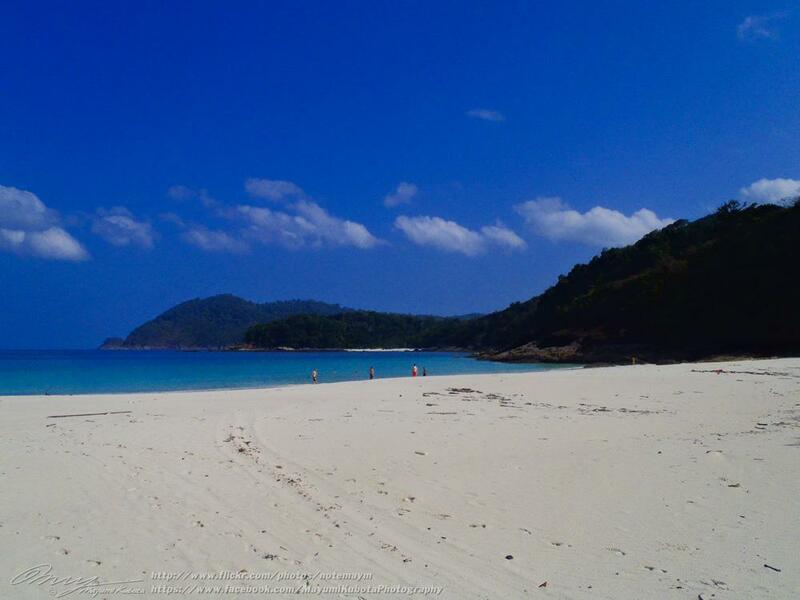 the dive centre is in the centre of Khao Lak, just 100 metres from the main intersection. Free pick up from hotels and resorts in the area is available upon request. Prices are inclusive of all meals and most non-alcoholic drinks aboard MV Dolphin Queen, as well as air-conditioned accommodation in every cabin. Diving equipment rental* (if required) is extra, and national park fees are payable in local currency to the authorities. *Wetsuits, masks, and open-heel booty fins are supplied for free. BCDs & regs are 250 THB / day / item. 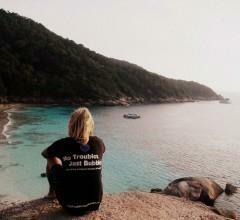 National park fees are 1,800 THB / diver. 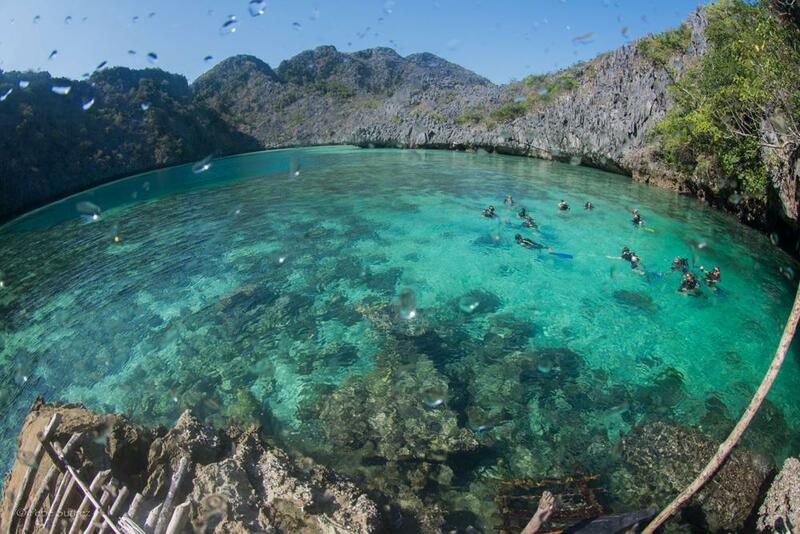 Non divers’ national park fees are 1,000 THB. Myanmar trips require a few weeks' advance planning (scans of every guest's passport) plus you need to bring 2 colour passport-size photographs and $230US in new bank notes. This is for the Burmese authorities. Extras, such as equipment rental, park fees and maybe for courses is paid at the dive centre in Khao Lak on departure day. Cash is best, because there is a small surcharge for using a card. There are many banks, ATMs and money changers a short walk from the dive centre.